Why a Graduate Degree in Communication? What’s So Great About Ottawa? Emily assists with the design and implementation of the new community connections component of the Capital Currents workshop. When she isn’t thinking about journalism education, she is the partner-owner of Skunk Social, a communications consulting firm specializing in social media strategy. Her research interests include business models of magazines, technological disruption to legacy media, and the changing journalism landscape. She was an editor at iPolitics; senior editor of Ottawa Magazine, web editor for Taste & Travel Magazine; and the founding editor of Damn Magazine. 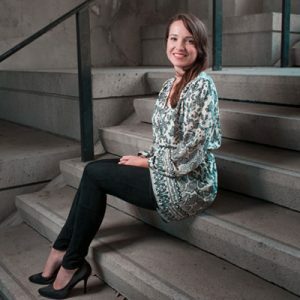 Previously, she worked as a content strategist for a creative agency and as a ghostwriter in the B.C. Government.